Ski vacation in Gudauri with Discounts - News of the resort. Vacation in Gudauri with discounts. 50 percent discount on the most popular hotels in Gudauri in January! 95 USD for Double with breakfast in Marco Polo, the best resort hotel! 65 USD for Double with breakfast in the stylish hotel Alpina Gudauri! 140 USD for Double room with breakfast and SPA in the best Gudauri hotel - only 5 rooms at special offer rate! The standard price for a Double room in the Hotel Marco Polo is USD 200, special offer discount 30 percent when paying the whole amount at the time of booking. Offer are limited - there are only 5 rooms from 13 to 26 January and 1-2 rooms for other dates of the winter season. Make a reservation by the link below or write a request to info@gudauri.travel and in any convenient for you messenger. BLACK FRIDAY IN SNOWY GUDAURI!!! Just send us a request with the mark "BLACK FRIDAY" and get Discounts from 5 to 30 percent on any accommodation option in Gudauri for any dates of the season. Enter dates in period 10 - 20 December and book hotel or apartment with a discount up to 70 percent! Special offer for Abu Hotel Gudauri - when booking on www.gudauri.travel breakfast is free of charge! The standard rate for the room on our website includes breakfast, while on booking.com and other resources you will be offered to pay for breakfast extra USD 8 per person (see photos below). There are no kitchen in rooms, and have breakfast in other restaurants is not always convenient, so the daily savings for the room is USD 16! There are available rooms for the New Year Holidays!!! The cost for the New Year is more expensive, because the price includes the New Years program. Mgzavrebi Loft Aparthotel - is a new modern apartment complex between the first and second lift stations, located directly on the skiing track. There are several bars, a large restaurant, a childrens play room, a SPA center with sauna and other recreation areas (outdoor terraces with sun loungers, lounge zones on the floors). The apartments are all with a typical stylish renovation, there are studios and one bedroom apartments, all rooms with balconies. Aparthotel is located next to the resort center and the main infrastructure of the Gudauri. Ski in, ski out. Security and convenient parking, ski depot. Wi-Fi. There are available rooms for the New year Holidays! Below is a list of links to residences with still available apartments for the New Year holidays. Some apartments are available until January 1-2 or 3-4. There are apartments that are available for any date, but the owners accept reservations for a minimum of 7 nights. Book soon to avoid missing out! Earlier reservations Gudauri hotels discount! Winter season is over in Gudauri and most hotels on the resorts now are closed. And those few that continue to work are often booked in advance by large groups from travel agencies. Backpackers on arriving can find in Gudauri only small choice of accommodation and an inflated prices. If you want not to overpay and stay in Gudauri cheaply, we recommend to book accommodation in Gudauri in advance on www.gudauri.travel. We have special prices for resort hotels (much lower than you can find on the Internet or upon arrival) and good accommodation options that are only available on our website. Click on the link below to book accommodation in Gudauri online with a prepayment of only 10. Discounts up to 70 for bookings from 3 nights. New luxury hotel in Gudauri at a very attractive price! Gudauri Inn - Hotel of the highest hotels standard in a mountain style, two saunas, restaurants and bars. From the panoramic windows and balconies in all rooms the best views of the Aragvi canyon. Located in the center of Gudauri in a beautiful place, but away from the noise of the road, allowing guests to enjoy a real mountain vacation in quiet and tranquility with views of the majestic mountains. The price includes breakfast and dinner (buffet). To the ski lifts is a free shuttle service (3 minutes driving). Double Room - 312 GEL (115 USD) Triple room - 416 GEL (153 USD) There is a possibility to put an extra bed in each room. News of the resort. 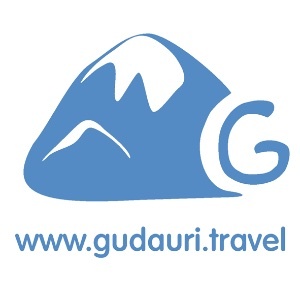 Vacation in Gudauri with discounts.